SALUTE TO THE SUN YOGA RETREAT with Judith Daniel will be held at Holders House, St. James from 6th to 13th May, 2017. Now in its fourth year, SALUTE TO THE SUN 2017 will again take place at the magnificent 17th century plantation house, Holders House. Set in its own stunning grounds on the wonderful west coast, the house has a beautiful verandah looking out to sea, which provides the perfect backdrop for the twice daily flowing yoga practise with Judith Daniel (www.quantumyoga.com). It is elegant but comfortable with lots of sumptuous sofa areas for relaxation and reflection, gorgeous dining spaces, stylish bedrooms and a wonderful pool. The gentle waters of the Caribbean sea beckon a 15 minute walk or short drive away. Fabulous raw food expert, Manuela Scalini, will delight with menus which are delicious and divine and highly skilled massage therapist, Claudia Tessarin, will be on hand to soothe away any aches and pains. As we salute the sun, we are bowing to the light within and acknowledging our oneness with all the sun creates... In our practise, the sun salutation brings about the harmony of body, breath and mind in a seamless flow, strengthening the body and opening us up to this reality. 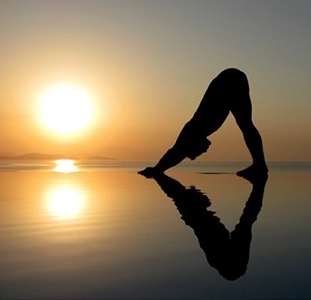 Throughout the week, we will explore many ways of saluting the sun, as it rises and as is sets, on the mat, at table, in the sand, on the water. We will bask in its healing rays and experience its radiance in the lush and vibrant nature of the colourful Caribbean. There will also be a Salute to the Sun Yoga Retreat from 4th to 11th November, 2017. More information to follow at a later date.